Lets go back to our root, what i call back to base. 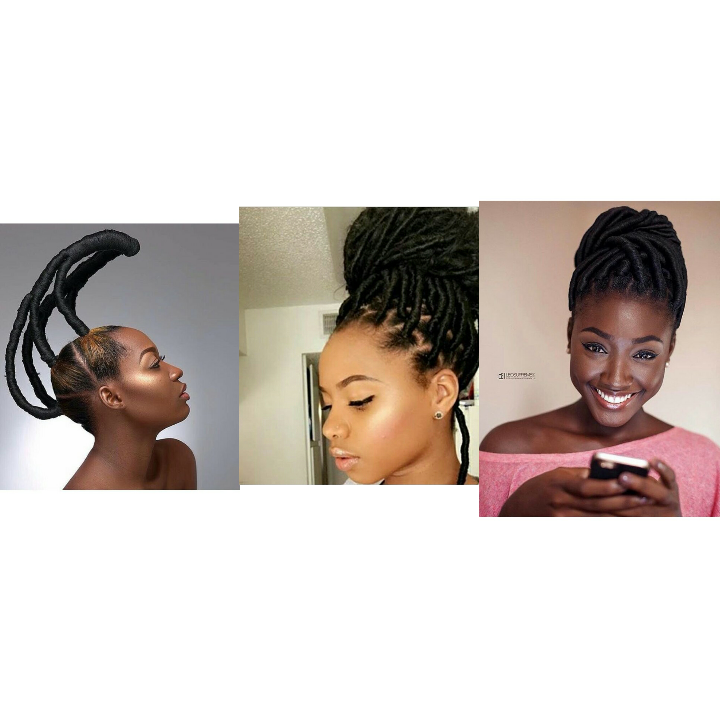 Some call it ancient hairstyles while others call it ancient modernized hairstyles, am happy that we are now bringing back most of our cultural lifestyles and patterns, it shows that we are proud of who we are and what we stand for in the way of beauty. I heard someone saying this “Africans so much love nature and it’s beauty” yes! we are so much in love with beauty because Life and nature are similar concepts, nature is the study of how life acts and interacts within the circle of existence. When we take the time to examine the beauty of the world around us, we are able to see parallels within our own lives. One who is attuned with nature is attuned with the practice of living. All of nature moves in a spiral as do our personal lives. It is important to spend time in nature because in this way we can become attuned to its wisdom. On the other hand, when we ignore the beauty of nature and spend our time in an urban jungle our stress levels go up and we begin to feel as if we are made out of the concrete that we see all around us. The fact is that everything around us is beauty. You are beauty. I am beauty. The world is beauty. Everything, everyone, around us is beauty, given form and life by whoever or whatever created it. The reason why you can’t recognize this is because you’re too busy trying to hold on to your one-track definition of beauty. Wherever you go, you narrowly zoom down to the things that match that image, because that is the definition of beauty you have in your mind. Unfortunately, this has prevented you from seeing the beauty, the glorious beauty, that lies everywhere else and this has prevented you from seeing the beauty that is in YOU. I used to be just like you. Rigidly holding on to a one-dimensional definition of beauty and measuring myself against that. Traveling and being exposed to different perceptions of beauty and people of different colors, ethnicities, and descents has made me realize that beauty lies everywhere. There is beauty in everything. Maybe in your mind, you have a certain image of beauty. Maybe beauty to you is having a high nose bridge, a sharp chin, a small waist, and nice curves. Maybe beauty to you is having a small nose, pouty lips, large eyes, double eyelids, a V-shape face, and fair skin. Maybe beauty to you is having dark, chocolate-colored skin; dark-colored eyes; long eyelashes; and long, straight, iron-clamped hair. I’m not saying that the image you have is false. What I’m trying to say here is that the image you have is narrow. Yes, that image you have in your mind of beauty is beauty. But so are zillions of other images in the world. And guess what? None of them is more beautiful or less beautiful than another. They are all beautiful in their own individual right, on their own scale that is comparable to none. Many people have a notion of beauty built in their minds since young. They make it a personal quest to attain that image of beauty for a good part of their lives. In the times they achieve that image, be it via losing weight, wearing certain makeup, wearing certain clothes, getting their teeth fixed, or even plastic surgery for some, they become very proud of themselves. They regard themselves as beautiful and beam in confidence about their looks. In the times they don’t achieve that image, they become self-conscious. They are afraid to face other people, go out, or even take pictures or videos. I believe most of us have acted that way at some point. I used to be like that in the past. The most striking example I can give is how I can meet people who are extremely well-dressed and done up, but still feel that they are unattractive. Why? Because they are extremely insecure about themselves, and it shows. They are nothing more than slaves to their looks, always hung up about presenting a certain physical image or look and terrified of looking “lesser” than that. On the other hand, there are people who do not have conventional good looks who appear very attractive. They are comfortable in their own skin, they know themselves, they are happy with life, and they radiate in their own light. They take care in improving their physical appearances and in dressing well, but these are not what make them attractive—their confidence, warmth, and souls are. If there’s a part of you that thinks of yourself as unattractive, ugly, or unbeautiful, that’s the part of you that’s making you unattractive, ugly, or unbeautiful, because there’s nothing more unattractive than an unconfident person. Yes, work on improving your physique, your looks, your personal grooming, and your etiquette, but don’t forget about your confidence. A confident person will always appear many times more attractive than someone who is conventionally attractive but unconfident. Next article glowing skin gets easier : 7 things to take note of for a healthy and glowing skin.